And they say couch co-op is dead. And they say couch co-op is dead. 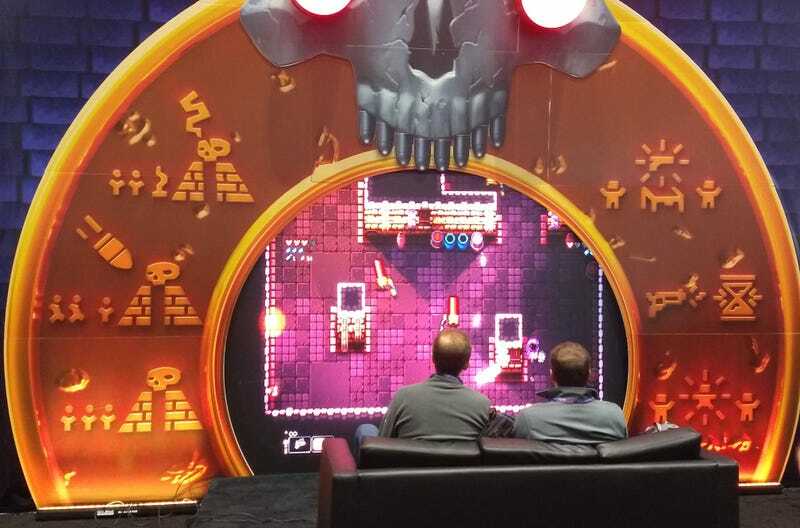 Enter the Gungeon came out back in 2016, but its developers at Dodge Roll keep finding reasons to bring it back to PAX East. Of course, even back then it had local co-op, before getting ported to Switch made that sort of thing cool again.